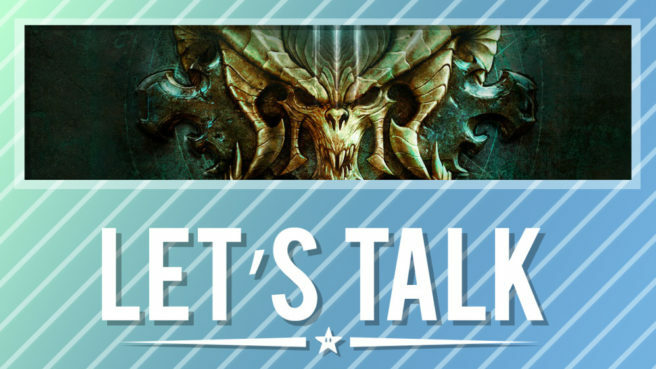 [Let’s Talk] Will you be buying Diablo III on Switch? Blizzard finally put rumors of Diablo III on Switch to bed this week with an official announcement. Eternal Collection will launch on the system this year, featuring content from Zelda and more. Though Diablo III has been around for awhile and on different platforms, this marks the first time that it’ll be on a Nintendo console. In fact, there hasn’t been a Blizzard title on a Nintendo system in quite some time. Diablo III on Switch is noteworthy though due to its portability, and Blizzard is looking to sweeten the deal with some Zelda content. How are you feeling about Diablo III on Switch? Do you plan on purchasing it later this year? Share your thoughts with us in the comments below. It was great! This game really feels like an ultimate edition, there is SO much content, I was thoroughly impressed, all those tracks, sceneries, characters. I didn’t play every single Smash Bros out there, I’m not really a fan of figthing games, only the one for 64 and the one for Wii, but I played those a lot. Now I feel like I have the chance to enjoy all that I missed, and that I will be able to have a lot of fun with it. That music library alone is going to be worth every cent. Ended up turning out better than expected. I believe they’ll introduce at least 3 more new fighters, alongside echo fighters, having a 70 character roster. I’m pretty keen to find out what the censored menu selection is, it’s likely and hoping that it is, an adventure mode, likened to Brawl’s Sub-space. If this were the final roster, I’d be 100% satisfied. But it’s not! Sakurai has outdone himself this time around. I simply can’t wait for this game. I came away from the direct feeling like Sakurai, Nintendo and co. gave us a whole lot more than I ever expected them to. I was going in fully expecting there to only be a single character reveal and a bunch of deconfirms that would sour things, instead we come away with 5 characters (3 of whome are Echoes), several cool feature reveals, the reveal that Ditto’s planned mechanics that were scrapped from Melee have been implemented, and on top of that were teased with the possibility of an Adventure or Smash Run like mode. I can understand being annoyed by this coming only a mere month later for some though.